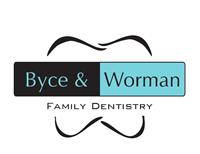 Directory > Providers > Dental Care > Dentist > WI > Madison > Bradley Byce, Dr.
Dr. Byce has over 17 years of experience treating patients in the Madison area and believes it is essential to remain on the cutting edge of dentistry in order to provide patients with the exceptional care they deserve. He trains with the experts in his field at the prestigious Las Vegas Institute for Advanced Dental Studies and has completed specialized Neuromuscular training, certifying him to treat various muscle and joint disorders. Dr. Byce has received awards from Madison Magazine for his excellence in cosmetics and has been recognized as one of the top childrens dentists in Dane County. I thought the staff was amazing; they were so friendly and helpful, and made sure I felt welcome there. I loved how gentle and careful they were while they were flossing my teeth. My gums didn't bleed at all. Not only were they able to provide everything they promised me, they went above and beyond and exceeded my expectations. They have some of the best customer service I have ever seen. Putting their customers first is definitely a priority here and it shows. I've never seen anyone who is more respected by their staff. The entire staff only had great things to say about working there, and it made me want to return all the more. Not only did the crowns, fillings, and veneers I got last for a long time, they lasted way longer than they were supposed to. It was great not having to go in and get them redone all the time. I could tell that they did a fantastic job putting them in. The restrooms at this office were spotless. It smelled amazing in there and looked immaculate. Their office was the absolute perfect temperature. It was so nice to be able to get out of the weather outside and sit in a relaxing, comfortable office. It was really nice of them to make sure that the water they used to rinse my mouth was at a comfortable temperature. In fact, it was the perfect temperature. I really appreciated them making that extra effort to make me comfortable. They were absolutely amazing and make others in the same field look like beginners.